Here's another reason to continue drinking coffee on a regular basis. If you haven't already, it's time to wake up and smell the health benefits of regularly drinking coffee. Scientists reckon that habitual coffee drinkers are at a reduced risk of coronary heart disease, type 2 diabetes, Parkinson's disease, stroke, liver cancer, and dementia. 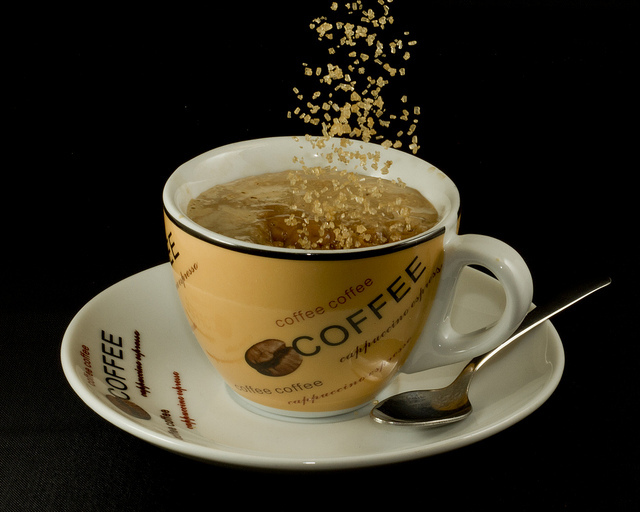 Indulging in the caffeinated brew often can even boost your long-term memory. We'll drink to that. Now we have yet another reason to say bravo to the buzzy bean: A recent study suggests routine coffee consumption may reduce the risk of malignant melanoma, the most fatal form of skin cancer in the United States. Study subjects who drank four or more cups of coffee every day were 20% less likely to develop the dangerous form of cancer than those who didn't drink coffee. Per the study's conclusion, "Higher coffee intake was associated with a modest decrease in risk of melanoma." However, researchers did note that additional investigations "into coffee intake and its constituents, particularly caffeine, with melanoma" are warranted. Even with that lukewarm caveat, we'd say their findings are worth a congratulatory toast to the roast, wouldn't you? Erikka Loftfield, a researcher closely involved with the study, seems to think so, too. "Our results, and some from other recent studies, should provide reassurance to coffee consumers that drinking coffee is not a risky thing to do," the pre-doctoral fellow at Yale School of Public Health told The Washington Post. We repeat, a super smart scientist from one of the Big Three just said that drinking coffee is not a risky thing to do. Hallelujah. The investigation, conducted by the National Institutes of Health (NIH) and the American Association of Retired Persons (AARP), culled data from 447,357 participants over a median of 10 years. The results were published earlier this year in the JNCI: Journal of the National Cancer Institute. Tempting as it may be to gloriously bask in the sun while drinking to these coffee addiction-validating findings, steaming cup of jolting Joe in hand, you probably shouldn't. At least not without covering your body's biggest organ with UV protective clothing. We'd suggest slathering sunscreen on, too, but even that may not be enough to prevent skin cancer--especially in a tropical climate.